To his credit, the ticket agent behind the first class counter at British Airways kept a straight face. I’m willing to bet he’s seen any number of Louis Vuitton monogrammed suitcases, but this was probably the first time he had to check in a market-stall-bought hammock inexpertly covered in black bin bags and duct tape. With my usual flair for dimensions, I had thought the little hammock I had bought at the Aztec Floating Gardens tour at Parque Xochimilco would fit in my suitcase. It didn’t. But, I couldn’t be bothered to roam Mexico City to find a large enough suitcase even if I wanted to spend more money transporting a hammock that had barely cost $15. We were only flying first class to use up airline miles that were on the verge of expiring anyway. 4.3 Join our growing community of readers! I have to confess we took the Xochimilco tour for a particular set of reasons. 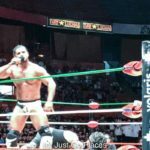 My son was tired of traipsing around the city visiting the many cultural attractions of Mexico City, including visiting the pyramids of Teotihuacan and Mexican wrestling. I was looking for an easy option where he could rest his wilting flower self in the shade while sightseeing. Our boat was called the Brenda. The Aztec floating gardens at the Parque Ecologic de Xochimilco seemed ideal for the two of us. 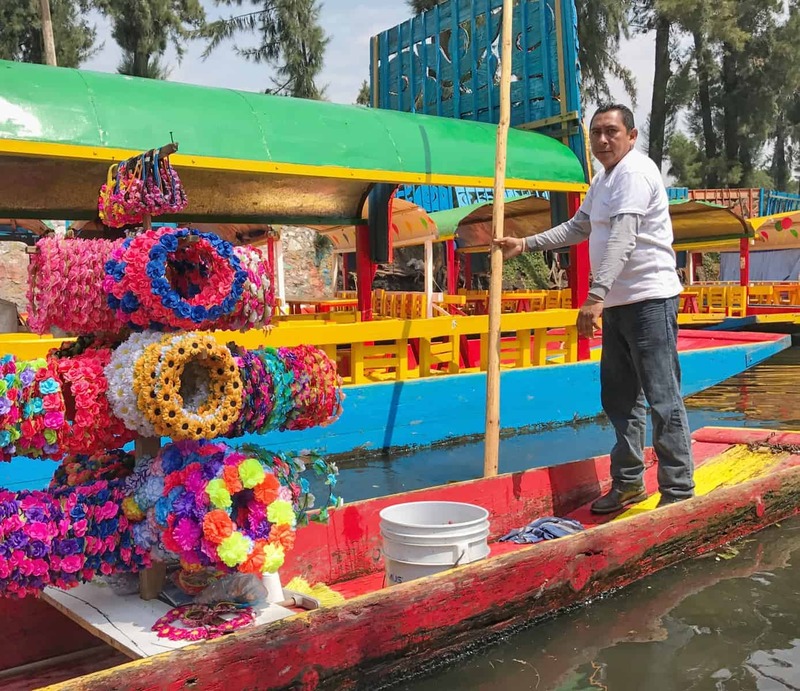 The Xochimilco tour involved drifting along on a colorful covered boat (called a trajinera) along the canals of Parque Xochimilco for an afternoon watching the world go by in a colorful blur of party boats and Mariachi singers. Some of the barges floating by had both snacks as well as entire meals that could be prepared for you. We joined a Sunday tradition as dear to the heart of locals as Sunday Brunch in New York City and Sunday dim sum in London. The thing to do on a Sunday in Mexico City is to have a long, leisurely lunch on a trajinera with you friends and family. Lots of barges were out celebrating family events, such as this birthday barge. There were lots of local families out on the boats. An entire industry of Mariachi bands, souvenir sellers and food vendors tour catered to their needs. I always assume that Mariachi bands were a tourist trap but not so much here. A band serenade barges passing by to try and entice them to the canal side restaurant for lunch. So long as everyone was doing it, I figured why not? I paid to have Guantanamera played for our boat so that my son and I could bop along. 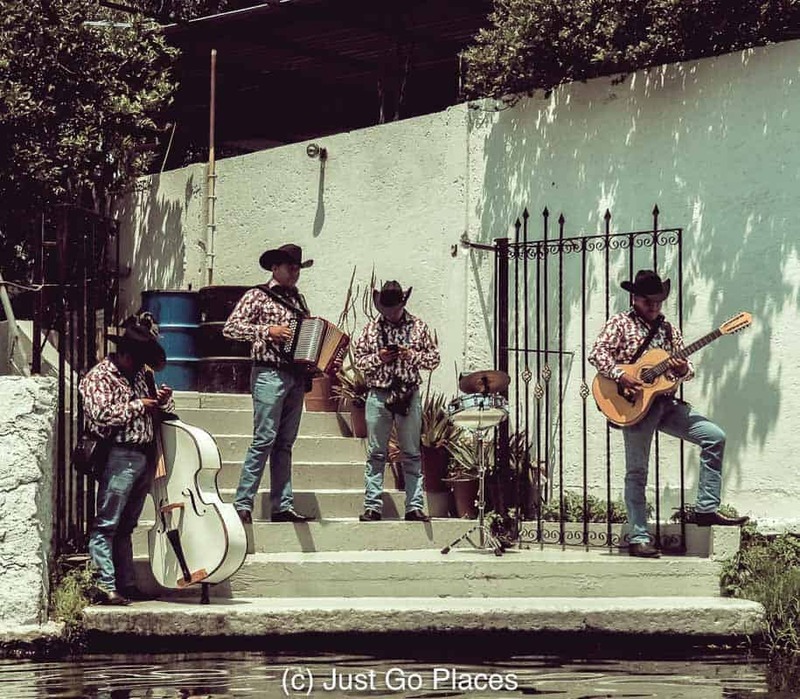 Floating mariachi bands will serenade you for a fairly low price. 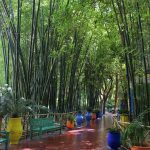 The Parque Ecologico de Xochimilco was set up in 1993 a few years after Xochimilco was designated a World Heritage Site by UNESCO. 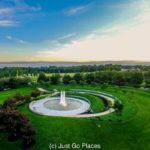 It’s a wetland area with wildlife and nature reserves. We thought the Xochimilco canals were crowded but our guide assured us it wasn’t. The 6000 acres of Xochimilco of all that is left of the five lakes and interconnecting canals that covered the area before Mexico City emerged from the dried out lake beds. The renowned Aztec city of Tenochtitlan was founded on an island in one of these lakes. Why would the Aztecs build on a lake when there was plenty of dry land elsewhere? They were following a legend. So, in honour of this legend, they achieved feats of engineering that created an amazing mighty city surrounded by lakes with canals and floating gardens which enabled agriculture to flourish. Today there is still some farming of the floating gardens, things like corn and flowers. Flower head gear for those who want to indulge their inner Dora the Explorer. The Spanish put an end to most of the Aztec achievements – draining the canals etc. Nowadays, pollution and nature have combined to finish off what the Spanish started. 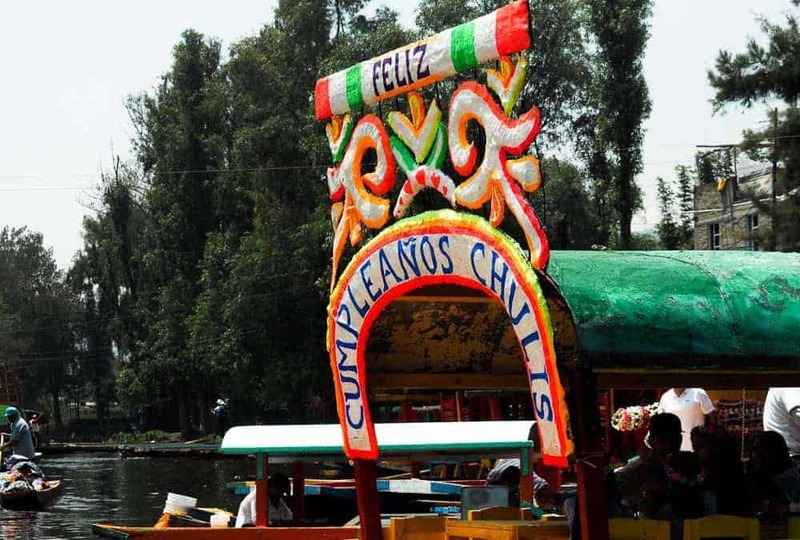 In as little as 15 years, it’s feared that Xochimilco may be as gone as Aztec human sacrifices. The tourist souvenir touts will follow along with their barges. 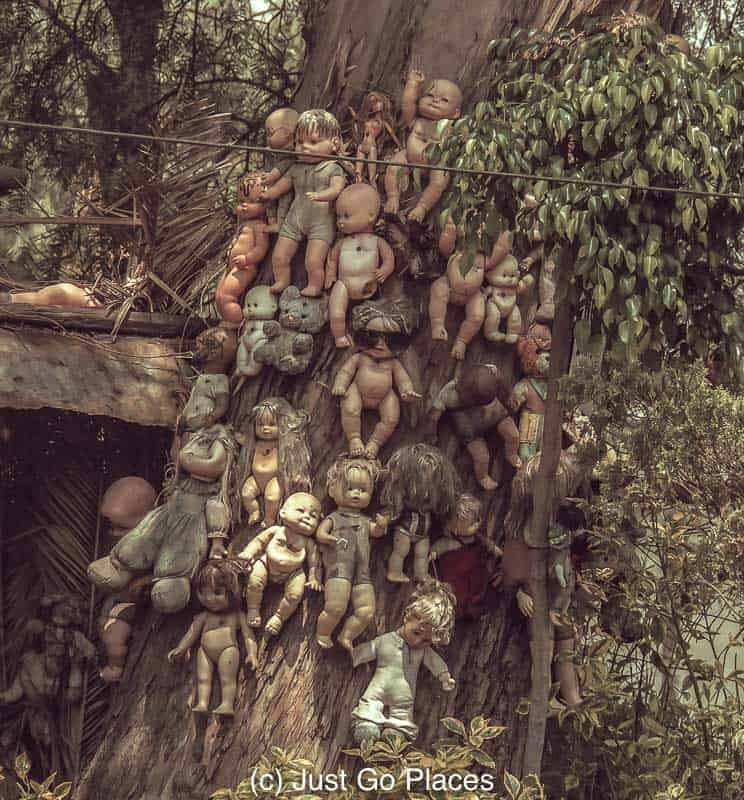 My son was fascinated as well as creeped out by the dolls hanging from the trees at the famous Island of the Floating Dolls. According to folklore, some one hung up a doll belonging to a girl who drowned and next thing you know everyone was hanging up dolls around the same area. The whole thing got so creepy, the place got its own name and haunting story. Of course it did. 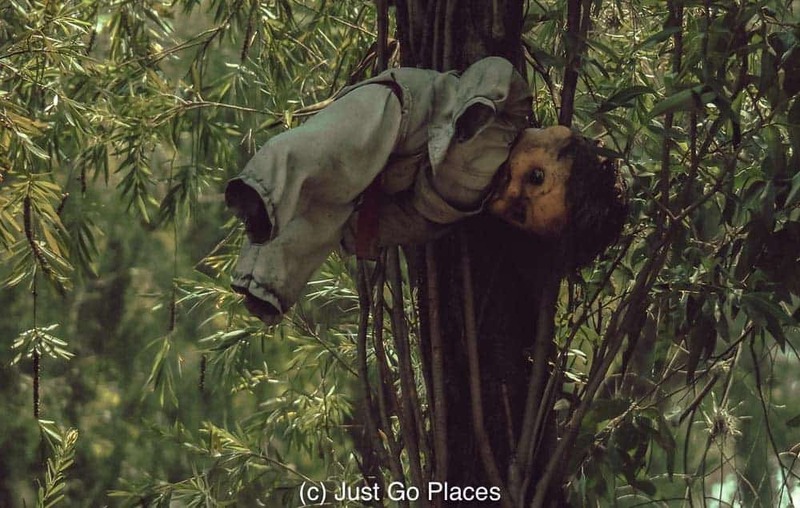 Dolls can be creepy even at the best of times, never mind nailed naked to a tree. No, not creepy at all. I bought my little hammock at the traditional market at Xochimilco. There were so many wonderful and colorful things to buy, from snacks to baskets and, yes, hammocks, of course I wound up getting something that wouldn’t fit in my suitcase. It was just an accident in perspective waiting to happen as far as I was concerned. I couldn’t decide which colorful straw bag I liked best. Some bright spark decided Xochimilco was so nice that it should appear twice in Mexico. 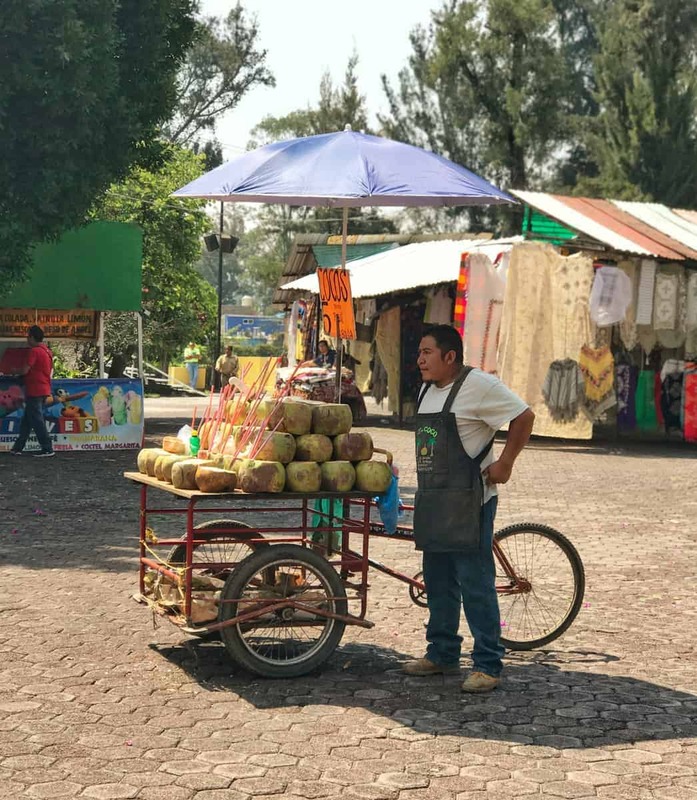 A fun-filled version of Xochimilco has been built for the tourist hordes that visit Mexico’s premier party city, Cancun, and the Mayan Riviera. 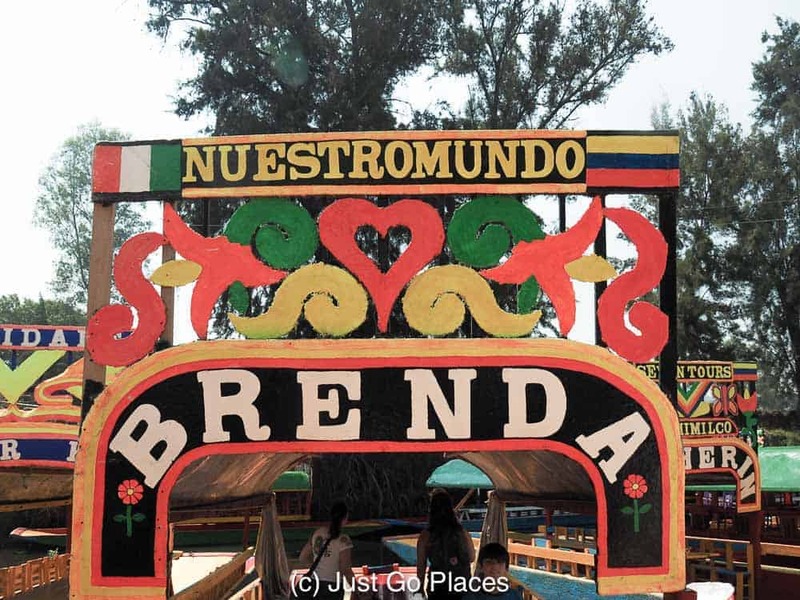 This theme park, named Xoximilco (not the spelling difference), is billed as a floating fiesta. All the tacos and tequila without any of the history. 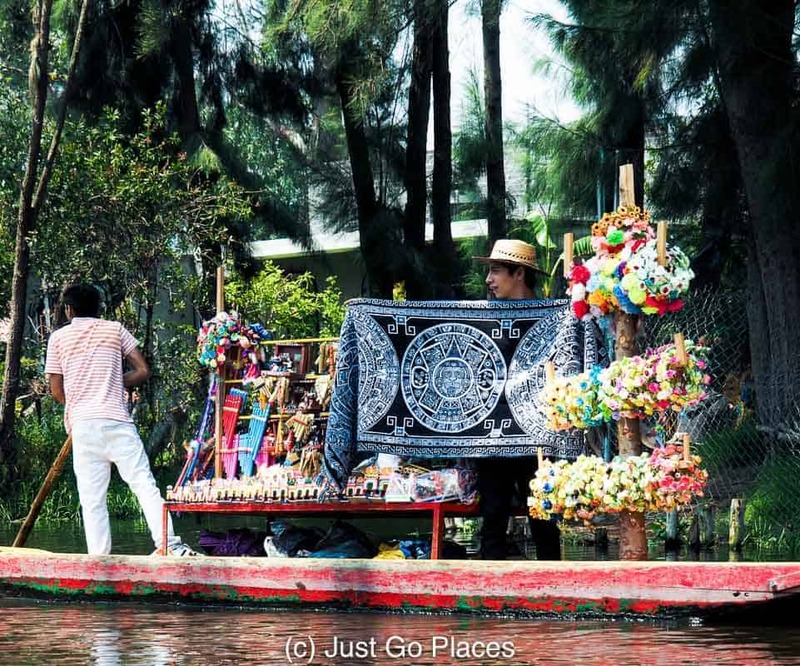 You should definitely take a Xochimilco tour if you have the chance to visit Mexico City. It’s hard to believe this canals are 500+ years old! They are as important to the pre-Spanish history of the Mexican indigenous peoples as the pyramids of Teotihuacan. Unfortunately, despite all the good intentions, the Aztec Floating Gardens may become extinct in the next couple of decades. 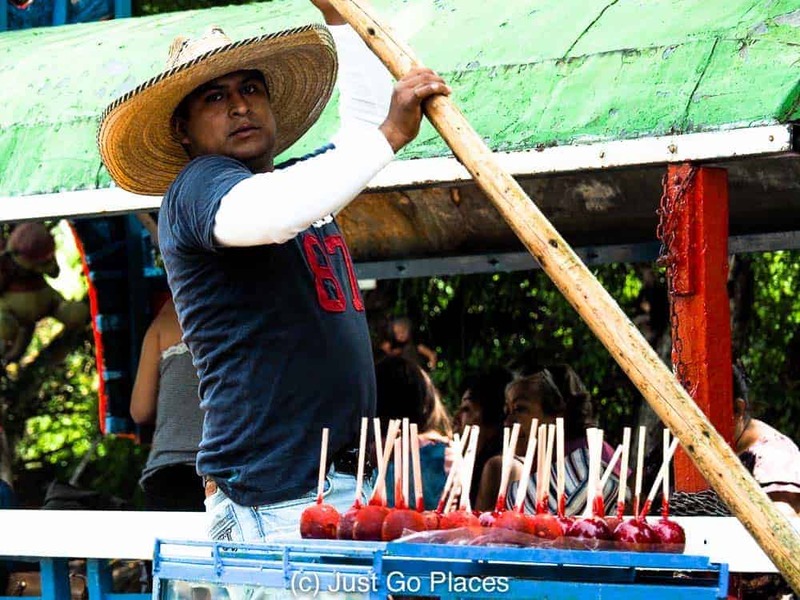 According to people I met who have seen both, Xoximilco may be fun but it can’t hold a candle to Xochimilco. 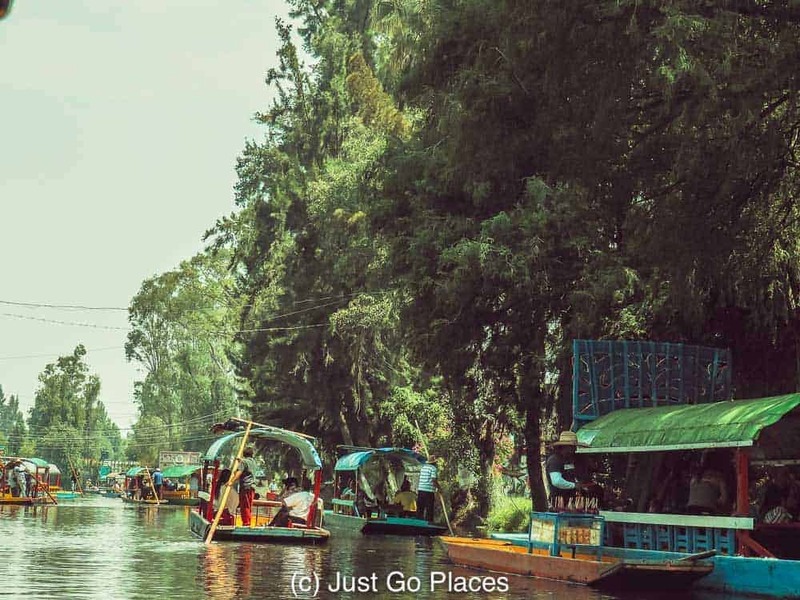 Xochimilco is an easy place to visit from the centre of Mexico city. 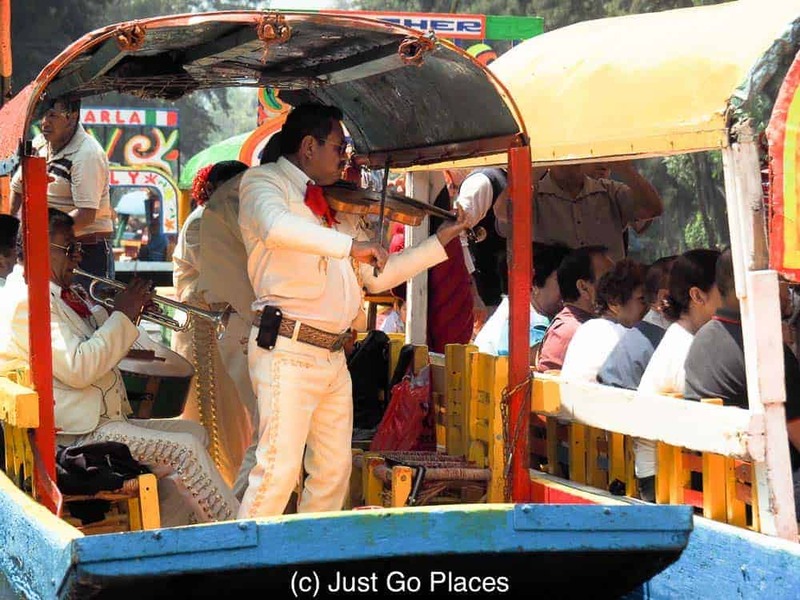 There are also tours that will take you from your hotel and back in half day tours of Xochimilco. 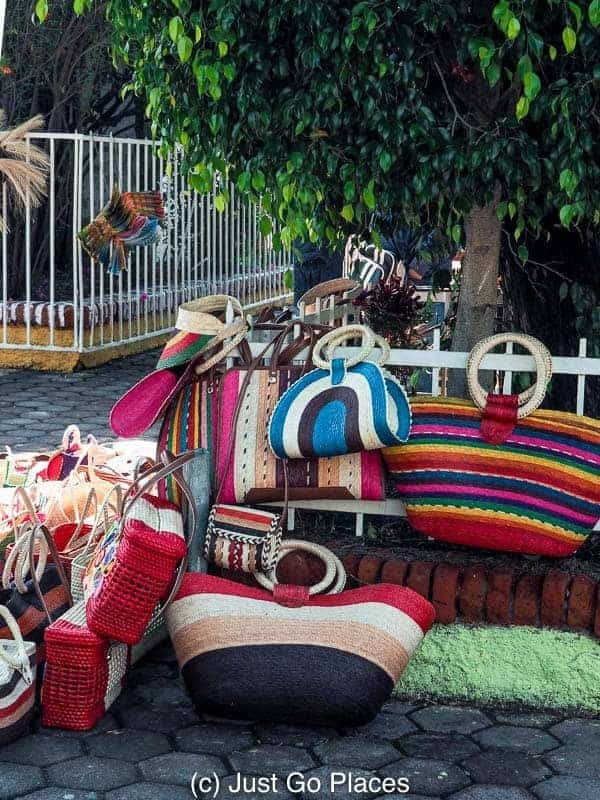 If you want to do the full-day version of the Xochimilco Tour, these tours will throw in a visit to the Frida Kahlo Museum. Our guide told us the Frida Kahlo Museum was small and does not have many of her works. Of course, our guide, like most locals, was enamoured with Diego Rivera and thought Frida Kahlo was nothing special. He really didn’t understand why the world outside of Mexico thought she was a big deal. He said many people in Mexico think her biggest claim to fame was that she was married to Diego Rivera. So take that as you will. We stayed at the beautiful boutique Hotel Villa Condesa in the trendy Condesa neighbourhood of Mexico City. The hotel had excellent service, food and facilities. My son’s only gripe was that it did not have a pool. Of course, I chose it specifically because it didn’t have a pool so I wouldn’t have a problem getting him out of the water! My other option was the Hotel Condesa DF, another boutique hotel around the corner from the Hotel Villa Condesa. It is a Design Hotel which is a brand that now have now teamed up with SPG to get points. 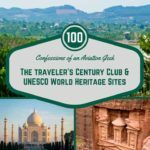 I missed a trick on this one because you may know that I love SPG hotels and always pick one when I can. We did not drive in Mexico City. We also did not take taxis off the street which are a known hazard. One of our compatriots on the tour we took said she met someone who had gotten mugged in a taxi and went to complain to the police. 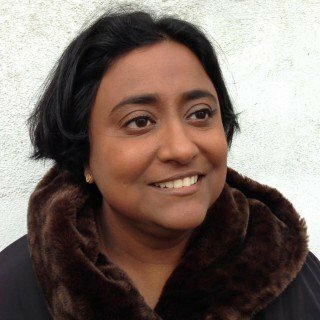 The police told her she was the 200+ person that day to file a taxi mugging story. Reputable hotels like the Hotel Villa Condesa will have taxis and drivers they trust. That is amazing! 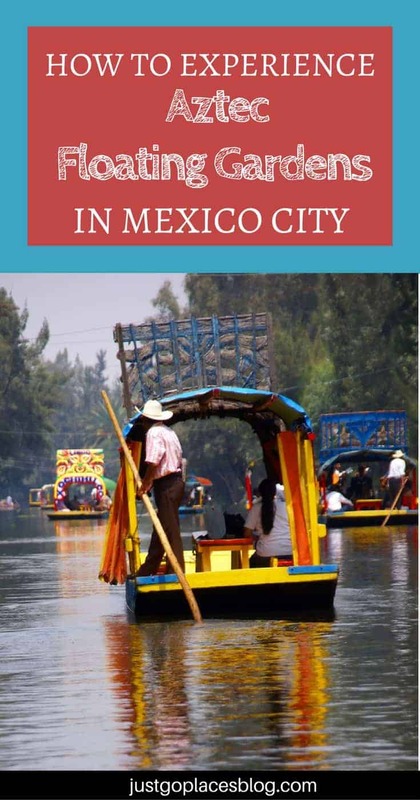 I was in Mexico City 2 years ago, and heard nothing of the canals at Xochimilco! But then I admit to being on the chocolate trail, and so I guess most of my attention was on that. 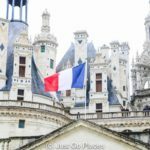 One more reason to go back! 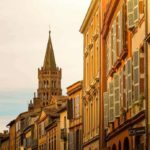 the chocolate trail sounds great too! I need to go back for that! It sounds like a fun thing to do! I am really looking into alternative things to do in Mexico city 🙂 Was it expensive? No it wasn’t! We took a private taxi over but you can reach the Gardens on public transport.